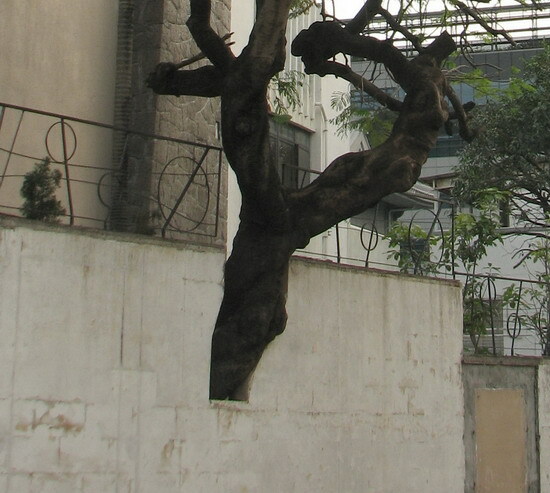 Incidentally passed by some buildings and noticed that there were wall openings allowing trees to grow out from. Trees have been there long before the buildings. The owners did not want to destroy the tree and willingly cut a hole on the wall. The breadth of mind to put aside differences so as to seek common ground can be easily seen by all. Times have changed. It is hard to be tolerant extendedly to accommodate an outsider. In the last few years, there have been complaints from the public in various districts that trees have reached out to public space and fixing up of tree canopy was to be coerced. 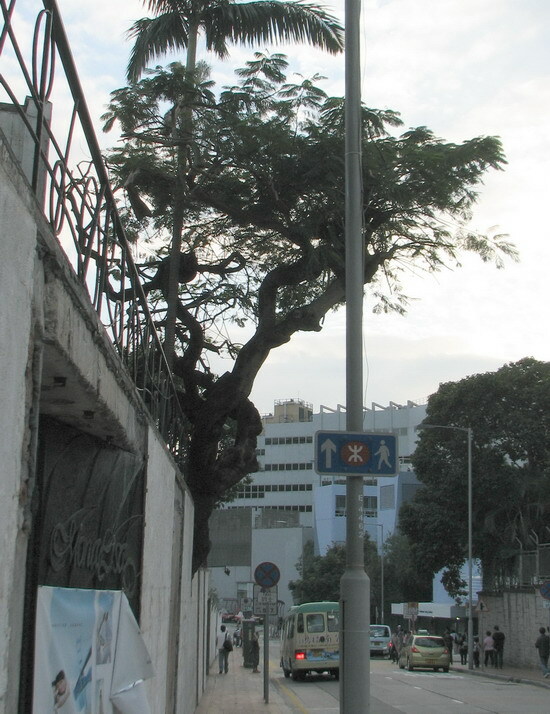 The Flame of the Forest (Delonix regia) in Kowloon Tong cannot escape from this fate. The crown of Flame of the Forest is broad with many branches. To prune it will require chopping off a lot of branches which is very difficult and laborious. As shown in the picture, more than half of its body has jutted out of the wall. In order to meet the government standard, the whole tree must be removed which is all the more difficult. 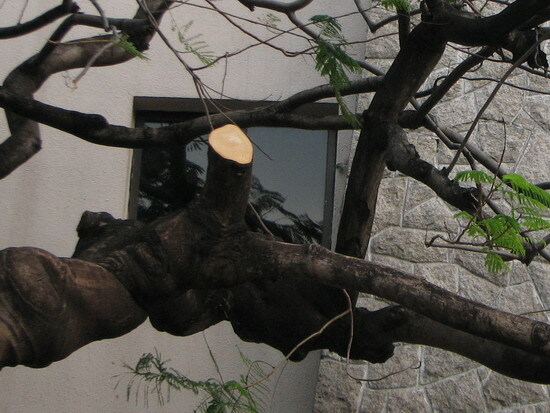 At present, there are no clear guidelines on how to prune trees. When the owners are in dread of the difficult authority, they will do a one-off large-scale pruning to end all the troubles. It is neither the concern of owners nor the authority as to public safety or if the tree will die.